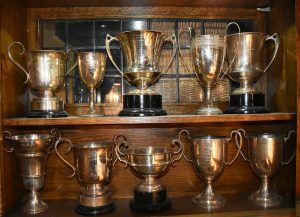 The original Regatta we think began in the Victorian/Edwardian era and there are a number of photos from the 1930’s in the Bull Inn together with the remaining trophies which were given to winners for the year. The regatta was interrupted by World War II and the last regatta was held in front of the then White Hart pub (now the Great House at Sonning next to Sonning Bridge, on 2 September 1939. 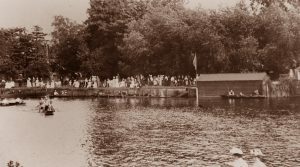 The regatta was re-established in 2000 as part of the millenium celebrations and is now held every two years. 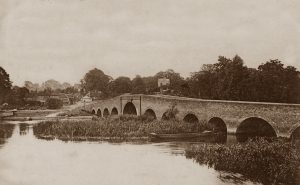 It takes place on the Oxfordshire bank of the River Thames above Sonning Lock near the Redgrave and Pinsent Rowing Lake. It is normally held on the Saturday of the Bank Holiday weekend at the end of May. There are a number of categories of race for both adults and children including canoes, dinghies, skiffs and of course the particular feature is the dongola racing with heats being held throughout the day with the final in the late afternoon.